"Please don't put your life in the hands / of a rock and roll band / who'll throw it all away". 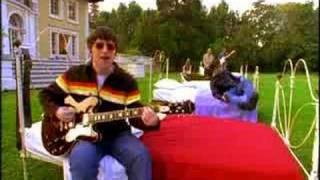 While Liam fronted Oasis, it was very much Noel in the driving seat. Don’t Look Back In Anger was the first track to see Noel take centre stage and sing the vocal himself. Along with Wonderwall, Don’t Look Back In Anger defined Oasis’s ascension to the status of Britain’s favourite band.